Welcome to the new trend in travel sweeping the globe, House Sitting! A new world where travellers experience free accommodation, living like a local & the enjoyment of loving pets, while home & pet owners save worry plus thousands on care for their beloved fur babies while they are away. Yes a world where both parties help each other, for FREE, in mutual fair exchange. 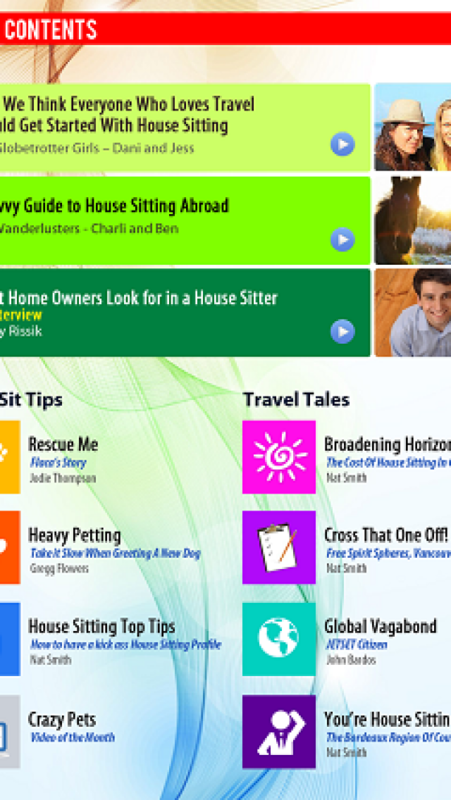 House Sitting World is the worlds first mobile magazine dedicated to all things House & Pet Sitting, for Home & Pet Owners, Experienced & Budding House Sitters and Travel Addicts! 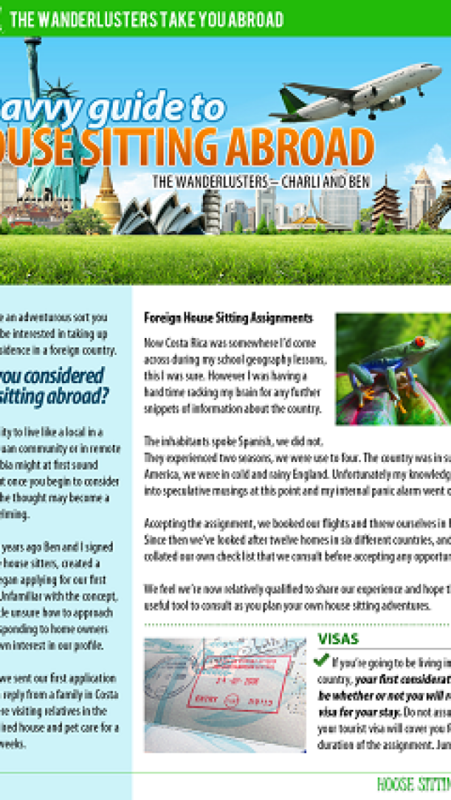 Every single month this Magazine takes an entertaining and informative look at international house sitting, with everything you need to get you inspired to travel more, kept up to date with the latest expert sitter advice AND encourage first time owners to try out these passionate volunteers. So whether you are a home owner, holiday maker or full time traveller, we have something for you! SO WHATS IN STORE FOR YOU EACH MONTH? -Entertaining and insightful stories from those travelling the globe with house sitting right now. -Interviews with home owners who use house sitters, who openly share their experiences and advice on what makes for a great house sitter, and points that home owners should take note of. -Information for home owners to gain more knowledge on house sitting and how to chose the right sitter for them, giving them peace of mind and comfort as they take their leave. 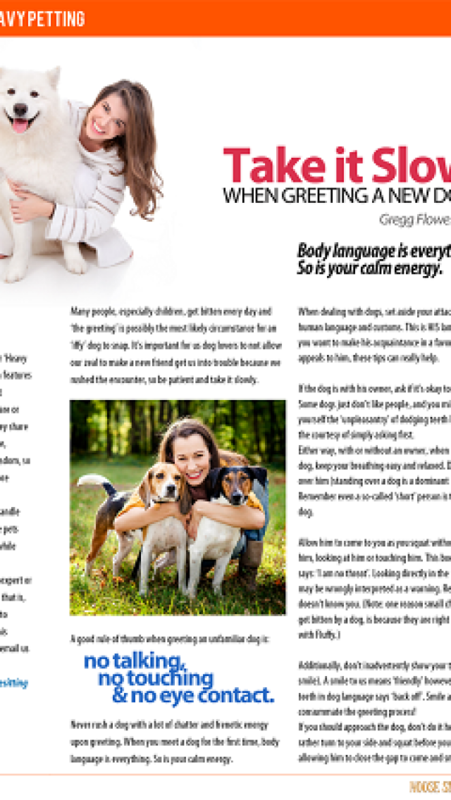 -The latest news from pet experts around the world, as they share their counsel on how to professionally take care of various pets. 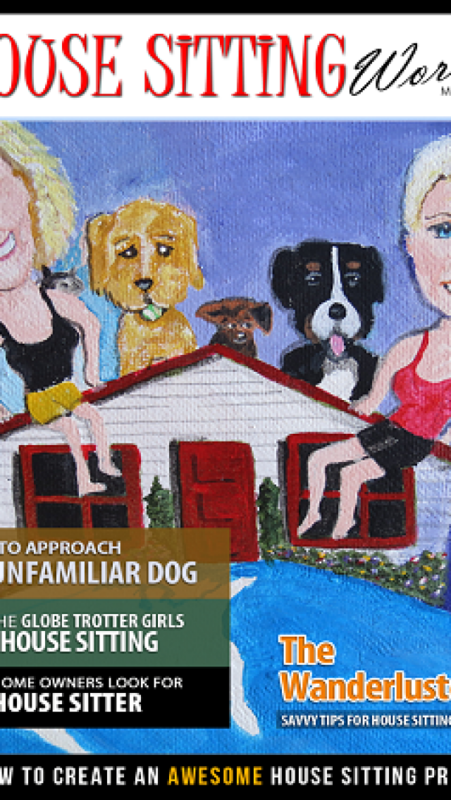 -An in-depth look at what it is actually like to house sit in various locations around the world. -A bevvy of interviews from location independent nomads, as they bring you their entertaining stories and lessons from travelling fulltime around the globe. -As well as a myriad of other valuable resources and must know travel tips to ensure you have an awesome experience house sitting for FREE all around the world. 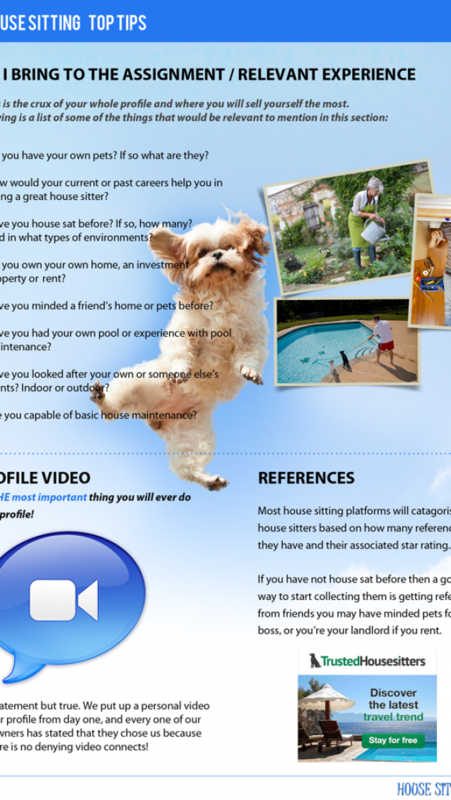 So grab your subscription to House Sitting World and get amongst it! ****** "I followed the advice and guess what happened.... I was contacted by a woman in France asking me if I could help them out by house sitting for them. Then this week, I applied for a three week Housesit in Vancouver in June/July and we finalized the assignment just tonight! Muchísimas gracias mis amigas!!! Your advice rocked!!!" ******* "House Sitting World is a wonderful and rapidly growing community of people who require the services of House & Pet sitters. For an upcoming sit I was fortunate to find a great couple through House Sitting World. Jodie & Nat are wonderful and giving women who are generous with their time & energy to help house sitters and home owners all over the world." Full time international house sitters publishing the worlds first house sitting magazine.